Our service includes full board service. Tree meals a day are served in our bright and comfortable restaurant area. Our cuisine includes international food served in a buffet. 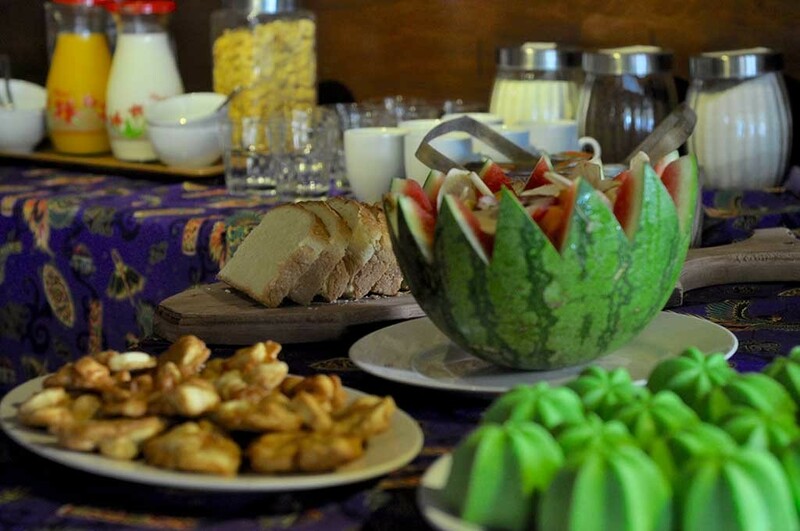 Different variety of plates, western and indonesian, are served everyday for breakfast, lunch and dinner. Fresh fruit is always available during meals, and also fresh juice is served during breakfast. Guests can order different fruit juices and soft drinks as well during the day consulting our drink and snack menu. Every afternoon, traditional snacks are served for the guest to have a nice tea time after a long day of diving or snorkeling. Coffee, tea, chocolate milk, water and oatmeal are available 24 hours.